Spectacular Skills From Marvel’s Greatest Heroes. | The Sketchcard Saloon. ← Elvin Hernandez Bursts Onto The Scene For Upper Deck’s Avengers. Spectacular Skills From Marvel’s Greatest Heroes. That is a sheet of pure skill from Jayson Kretzer. The loud lifeforce intensity jumps straight off the page and knocks a hole in your brain. 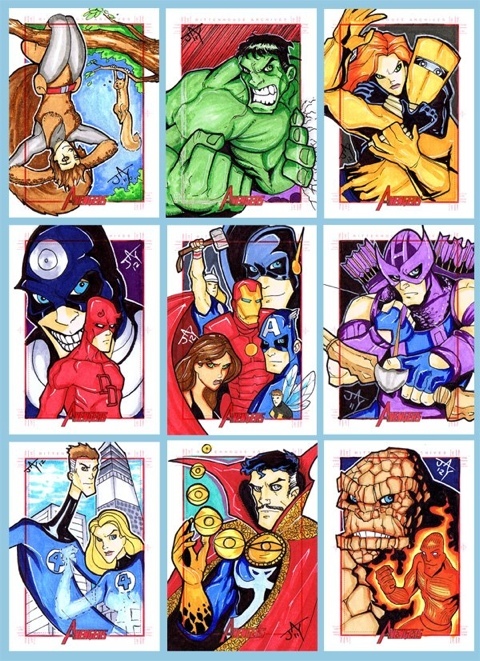 Then it is followed by an equally amazing portfolio from Jason Keith Phillips that takes the sketch card medium to an entirely new level of excellence. 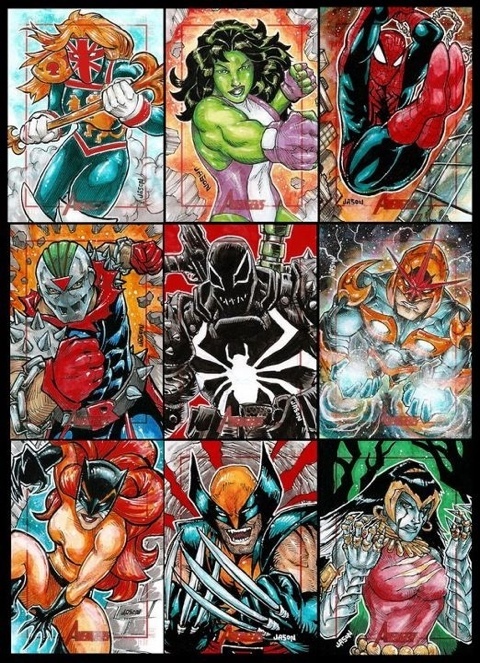 Both are from Rittenhouse Archives’ upcoming 2012 Marvel’s Greatest Heroes set. 2 Responses to Spectacular Skills From Marvel’s Greatest Heroes.